What Is The Price Of Home Care? When you, or a loved one needs health care, deciding on the right type of care can make all the difference in the world. Because there are a number of option available- it is an important that you consider all the options. If your loved one is in poor or declining health, either mentally or physically, and health care needs are many, an assisted living facility or home care may not be the best option due to the cost involved. In this case, a skilled nursing facility, or nursing home made be a better option. Nursing homes are similar to hospitals,because they are more able to provide skilled care to seniors with more intensive or urgent needs. For example if your loved one needs care around the clock then a skilled nursing facility is the best option. What About Assisted Living Facilities? Assisted living residences may, or may not have licensed nurses on their staff. 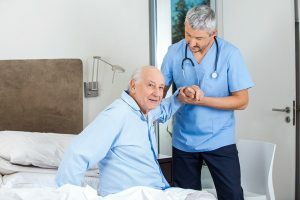 Because they are considered non-medical facilities- some assisted living facilities do not have a nurse or doctor connected with them at all. This is because they are not required by law to have a licensed nurse at their agency. When is In Home Care a Good Option? We recommend that families always do an in home evaluation to determine the level of care needed before making a decision on the best option. We believe that the individual and family are the best judges of what will work best for them and their unique situation. We understand that the price of home care Dedham and other communities can be a primary concern for many families looking for in-home medical or non-medical services. Some people assume that it in-home health care or personal care will be too expensive but if you compare all your options in most cases where the health or other care needs are not that intensive in home care is your most cost effective option. 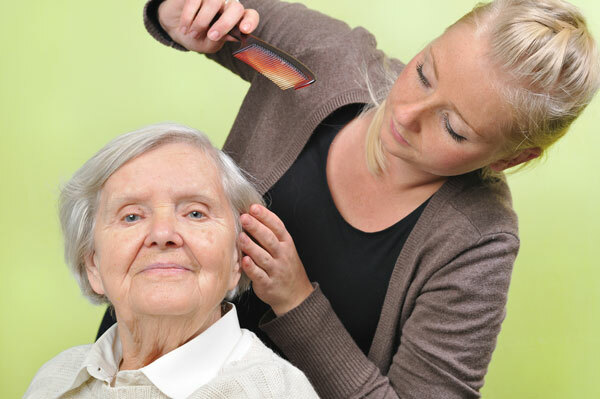 Typically, the price of home care is determined by the number of hours needed. In some cases there is a 4 hour minimum for homecare services, but you can choose as many or as little services as you feel are necessary. Hourly rates in Massachusetts, average $25 per hour for a Health Aide. For example, if you need a home health aide 4 hours per day for 5 days per week, then the yearly cost would be approximately $26,000 per year. Contrast this cost with the yearly cost of a nursing home which is $131,400. Or, compare this with the yearly cost of a one-bedroom apartment in an assisted living facility which is approximately $55,920, and one can see how in home care is so much more cost effective than the other options. In Home care services can be paid for directly by the client or through a variety of public and private funding sources. These funding sources may include workers’ compensation, Long Term Care Insurance, as well as Medicaid, if the company is able to accept it. If you found this information helpful and you’d like to learn more about whether your loved one qualifies for in home care services request a personalized in home price quote by clicking here, or just call us at (800) 296-9962 to set up your free, no obligation, in home assessment. Summary: We discuss the Price Of Home Care Dedham and other cities and towns in MA compared to other options. Geriatric Care Managers are invaluable in helping seniors and their families figure out how to get the care they need and not go broke in the process. Seniors health care policies are extremely complicated and to try and understand the benefits and exclusions of these policies can be challenging for seniors and their families. That’s one of the many services that a Geriatric Care Manager can provide.A care manager for seniors is known as a Geriatric care manager. These are trained human service professionals who can help you or your loved one with all aspects of the care management and caregiving process. Because there are a growing number of seniors who need assistance, geriatric care managers are filling gaps in their care that family members are not able, or do not want to do. A geriatric care manager works with the family and senior to create and implement a comprehensive short and long-term care plan which enables the senior to maintain their health and independence. This is accomplished by putting in place staff and services with the highest quality care at the best price. 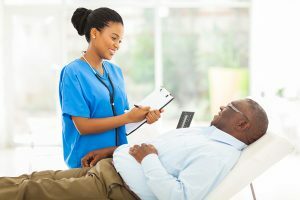 Geriatric care managers have a specialization in caring for seniors, and some can also provide care to people with disabilities, no matter the care needs or age of the client. Care managers typically have graduate level degrees in nursing, psychology, social work, or gerontology, and most are certified or licensed. When the Geriatric Care managers begin their work, they typically start with an assessment of the person’s needs, which includes exploring the available family and community resources, financial resources, as well as the physical and mental health of the client. Once the initial evaluation is made and the care plan created, the Geriatric Care Manager continuously monitors and re-evaluates the plan by either advising the family about existing resources or by becoming a member of the long-term care team. Screen and Assess care needs. Determine client’s eligibility for financial assistance, problems, and services required. Arrange for and monitor in-home medical care and related services. Provide counseling and support for families, client, and other involved in the caregiving process. Provide advocacy for the client and/or family. Assist a client in changing their living environment, if needed. Assist with coordination and communication between family members and caregivers. Offer crisis intervention, as needed. Make referrals to specialists for medical, legal, dietary, or financial matters. Geriatric Care Managers tailor each care plan to each individual’s custom needs. Therefore, it is important to make all of your needs known to the Geriatric Care Manager initially when you meet with them. If interested in learning more-schedule an in home assessment. Or call us directly at 1-800-296-9962. In home care for seniors is one of the most essential services these days for helping seniors live at home, and for as long as possible. Many seniors fear going to a nursing home or other institution and want to live at home for as long as possible. Home health care agencies provide a full range of in home care services that enable seniors to live at home for as long as they are able. For some seniors, living at home gives them greater choice and freedom. 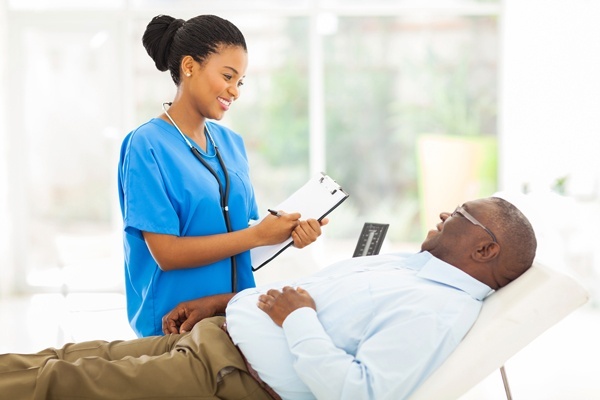 Which Home Healthcare Services Help Seniors Most? Home healthcare services may include preparing meals, assistance with personal hygiene, toileting, laundry and housekeeping, bathing, grooming and dressing, Dementia care, Alzheimers care, bed/wheelchair transfers, pet care, medication reminders, shopping, and transportation to medical appointments to name a few. Nurses, Home Health aides, housekeepers, case managers, physical therapists, and occupational therapists. The first step is to invite the home care agency representative into your home to do an initial assessment. Issues discussed typically include your health history, or that of your loved one, your existing service providers, your insurance and other benefits programs, as well as your budget for home care services. Once an assessment is made, a care plan is created which details out the services needed and fits within your allocated budget. The home care agency then works with you to create a schedule for your home care service delivery. Home care agencies typically communicate with the senior and/or family member(s) on a regular basis to coordinate home care if permission is granted or proper arrangements are made for this to happen. To learn more about In Home care for seniors services- call us at (800) 296-9962.